Boulder Running Company is an American retailer that offers special footwear, clothing, and accessories designed to help you have healthy and safe runs. With products from some of the top outdoors and athletic companies, Boulder Running Company is guaranteed to give you athletic wear that will keep you healthy and last you through all of your workouts. With Big Apple Buddy’s personal shopping service, you can now buy direct from the Boulder Running Company online store anytime, anywhere. Boulder Running Company offers products from brands like Adidas, Merrell, Saucony, and more. Here, you can shop for a variety of styles of footwear, including running shoes, trail shoes, walking shoes, among others. The Men’s Adidas Ultra Boost is the newest addition to the brand’s successful Boost line. 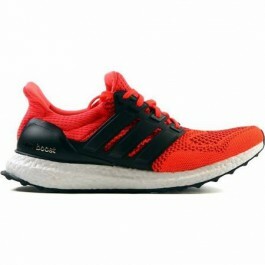 With a midsole composed solely of responsive and resilient Boost cushioning technology, this shoe is designed to keep your feet comfortable and protected while you run. The plush cushioning on the inside promises a snug and comfortable fit while still letting your feet breathe. If you enjoy running early in the day, you know that mornings can get cold. The Women’s North Face Better Than Naked Jacket will allow you to perform at your highest level when trail running in windy conditions. This very lightweight and breathable jacket will fit you like a second skin and is great to wear on its own or with other layers. 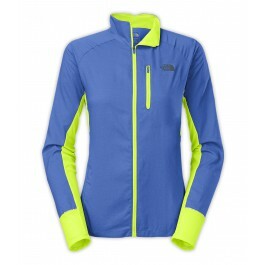 The jacket’s striking blue and neon green colors will help keep you safe and visible when running in the dark. Looking for running accessories? 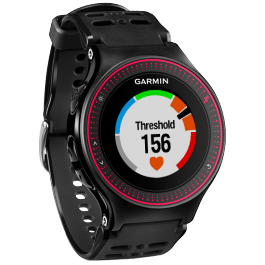 Check out the new Garmin Forerunner 225 Unisex Running Watch, which comes with a built-in optical sensor that will help monitor your heartrate. This watch also has an activity tracker, so you’ll always know how much and how long you have been running for. Make sure you stick to your workout routine by using the calendar on this watch to schedule your workouts. Unfortunately, the USA Boulder Running Company online store does not currently offer international shipping. However, Big Apple Buddy, your personal shopper, can help you buy products direct from the official USA Boulder Running Company online store and ship them to your doorstep, no matter where you are in the world. We offer international shipping to over 190 countries including Australia, Austria, Bahrain, Belgium, Bosnia & Herzegovnia, Brazil, Brunei, Canada, China, Croatia, Cyprus, Denmark, Estonia, Finland, France, Germany, Hong Kong, Hungary, India, Indonesia, Ireland, Israel, Italy, Japan, Kenya, Kuwait, Lithuania, Macau, Malaysia, Maldives, Mexico, Namibia, Netherlands, New Zealand, Norway, Oman, Pakistan, Philippines, Portugal, Saudi Arabia, Scotland, Serbia, Singapore, Slovenia, South Africa, South Korea, Spain, Sri Lanka, Sweden, Switzerland, Taiwan, Tanzania, Thailand, UAE, UK and Ukraine. If you would like to buy from the USA Boulder Running Company online store, simply let us know which items you would like to order (by filling out the form on the right) and we’ll get back to you with a free international shipping quote within 24 hours!